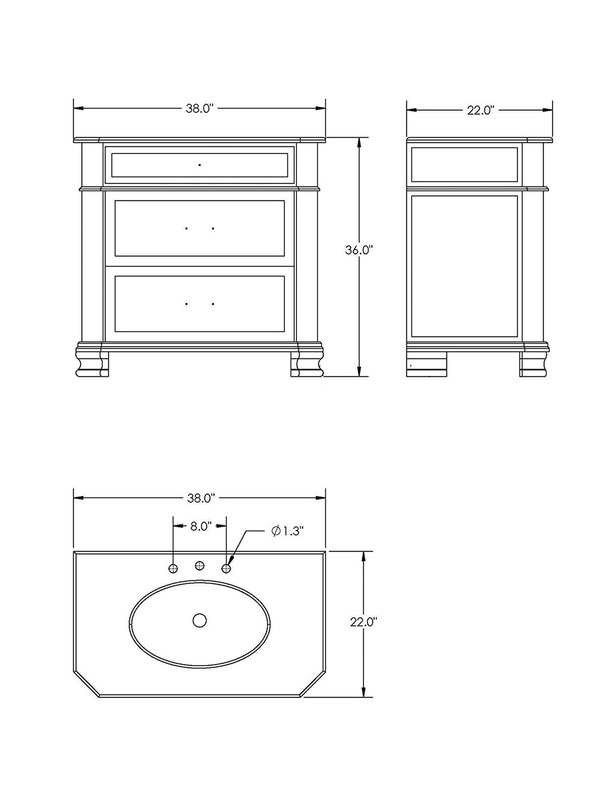 The warmth of the Chestnut finish makes a beautiful complement to the White Marble top of the Waren Single Bath Vanity. 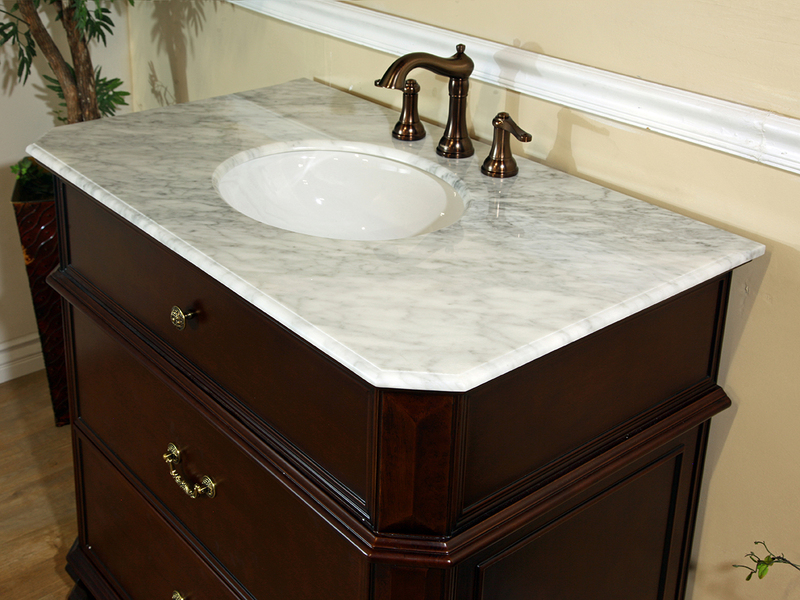 The White Marble counter top complements the light walnut finish, giving the vanity an even warmer feel. 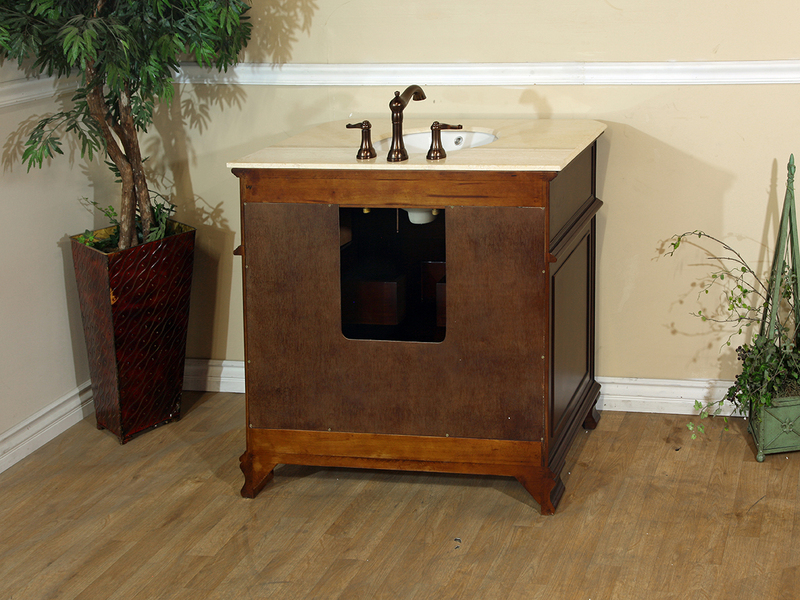 A backspalsh is optionally available with this vanity, made from the same great Crema Marfil. 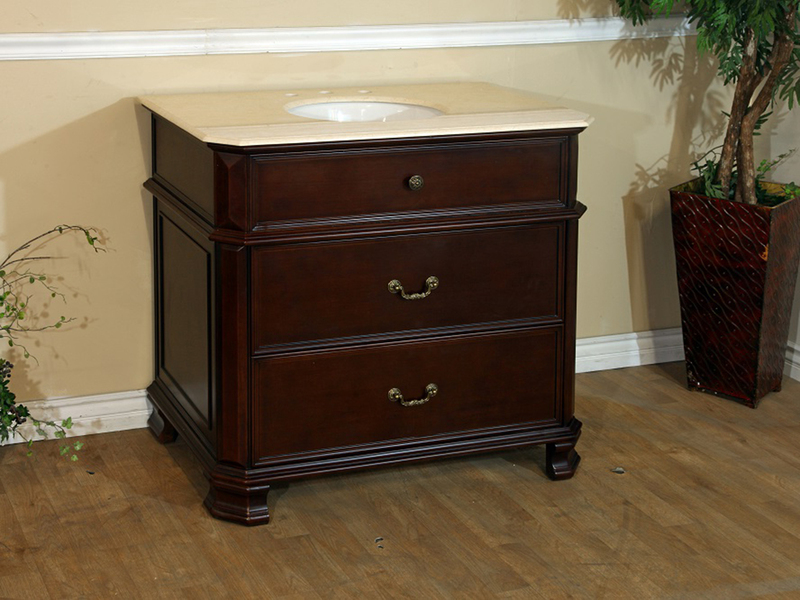 The vanity?s two functional drawers provide storage for bathroom supplies and accessories. The drawers feature ball bearing glides, providing smooth, full drawer extension. 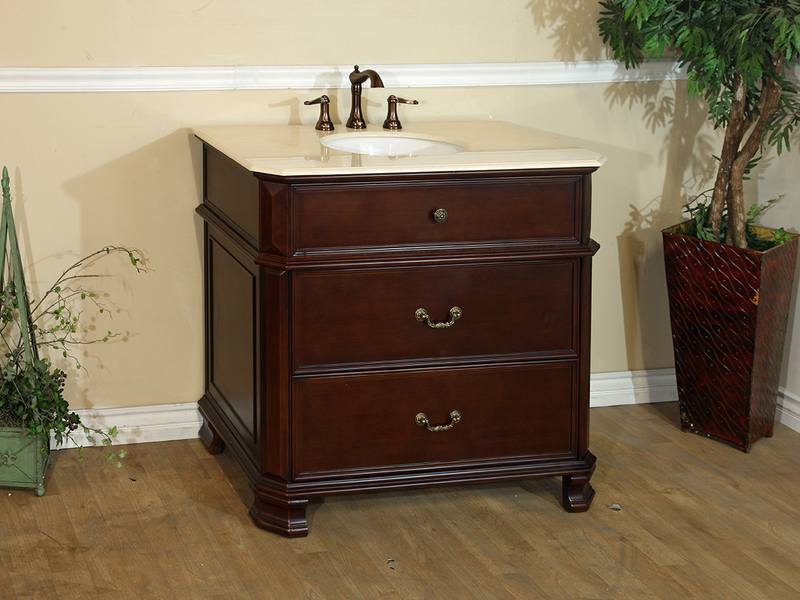 Its water proof finish protects the vanity from humidity, preserving its shape and integrity. 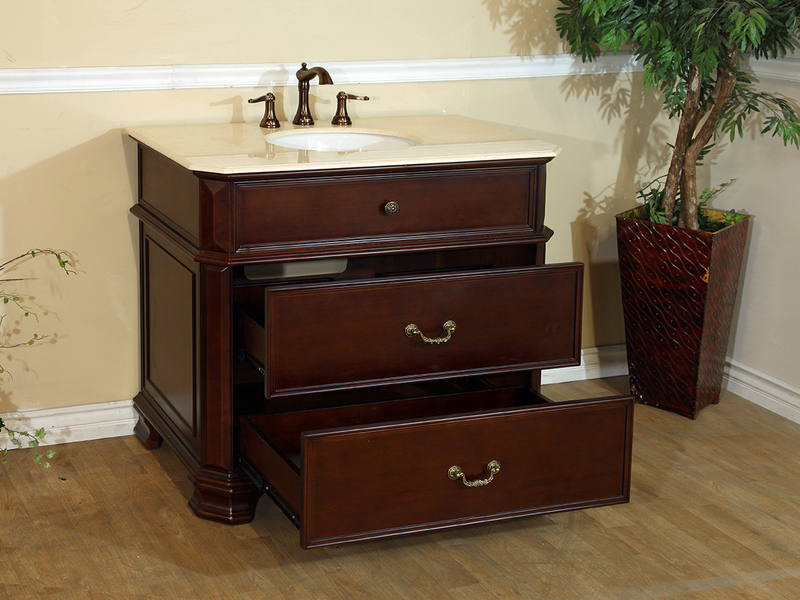 Overall, this stylish and functional vanity makes for a great addition to any traditional bathroom.